Android is underappreciated as a commercial platform - as a revenue driver for the e-commerce, advertising, and software industries. Too many analysts remain attached to an outdated idea of Google's mobile operating system as fragmented, malware-ridden, and low-end. They believe Android users don't spend money on mobile and lack lifetime value. This is no longer true. 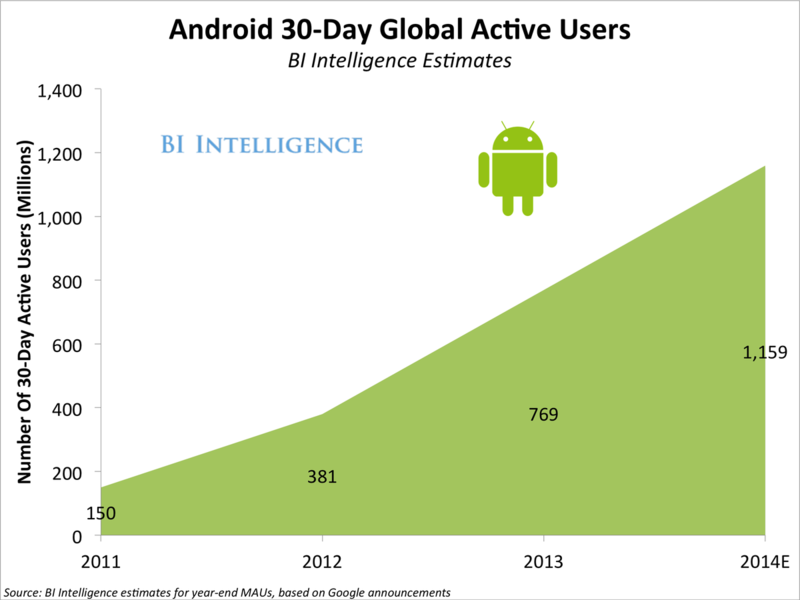 In a new BI Intelligence report, we show how Android has translated its massive audience - an estimated 1.2 billion active users globally by the end of this year - into a solid platform for mobile-based businesses. Mobile business models that neglect or ignore Android risk severely limiting their market potential. Android is roughly twice the size of iOS in terms of its user base and is comparable in size to the world's two other major platforms: Facebook and Windows. Android is rising faster than competitors as a driver of mobile revenue, including ad revenue. In this year's second quarter, Android's share of mobile ad traffic passed the share controlled by Apple's iPhone and iPad devices. Android at 39% still lags iOS in ad revenue share, but it is gaining share twice as fast. 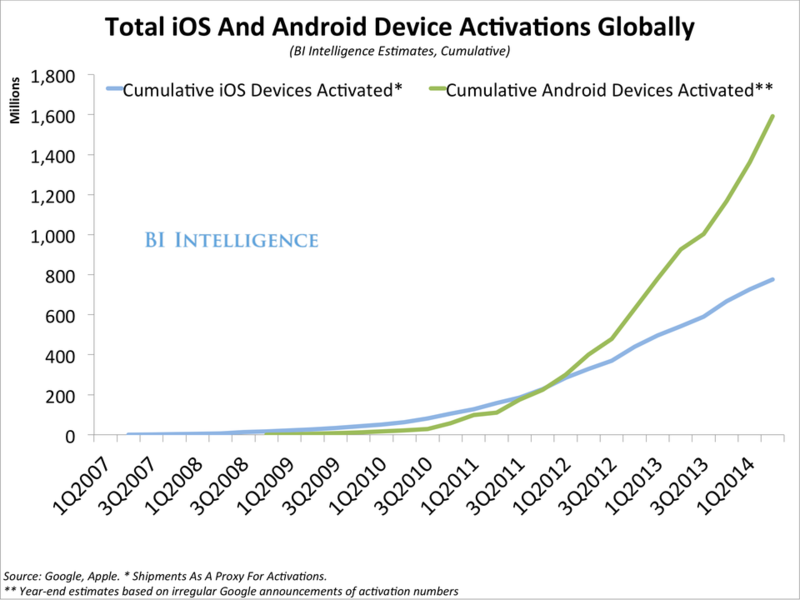 Android is exploding as a mobile commerce driver. Android's share of mobile commerce orders is up 26% year-over-year. Android devices now account for just over one-fifth of all mobile e-commerce orders in the US. The fragmentation problem is extremely overblown, from all perspectives: screen size, operating system version, and device proliferation. Globally, 80% of Android devices are running the two latest available versions of the platform. In the U.S, it's over 90%. Android Lollipop will roll out beginning this month. Google has also made strides in addressing the quality of apps in the Google Play app store, and that has translated to revenue growth. The percentage of spam apps is falling. Meanwhile, global revenue on Google Play more than doubled year-over-year in the first quarter of 2014. That's faster growth than iOS, according to App Annie. Some analysts believe Google Play will overtake the Apple App Store in revenue within five years. Android's Achilles Heel remains the feature-creep and bloatware perpetrated on the platform by partner carriers and manufacturers. But Google is exerting more and more control over Android and pushing partners to adopt its preferred version of Android, which has a full suite of Google apps, including Search and Google Play. Google has made progress in "recapturing" Android. In the second quarter of 2014, 65% of global smartphone shipments were running Google's preferred version of Android, rather than variants. That was a 3-percentage-point improvement over the previous quarter. For full access to the report on Android As A Mobile Business Platform and all our downloadable charts and data on mobile computing strategy and trends sign up for a free trial subscription today. 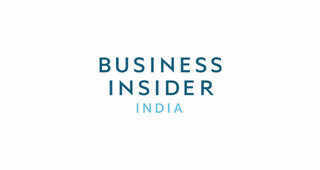 BI IntelligenceAndroid is much bigger than iOS.